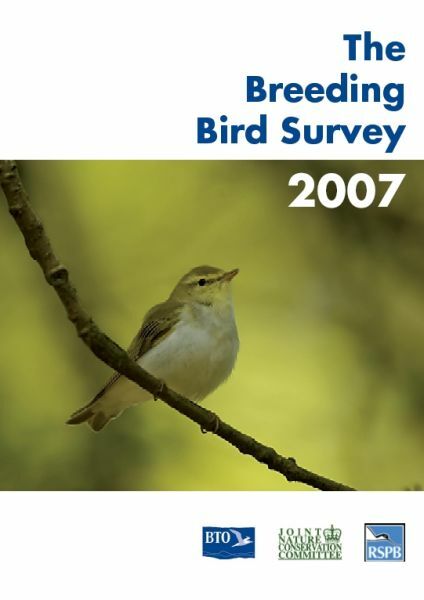 The Breeding Bird Survey started in 1994, and a report is produced every year containing population changes and other results from the scheme. All BBS reports can be downloaded below - click on the cover to download a PDF of the report for that year. File sizes are up to 4MB. BBS reports are sent free to all BBS volunteers and to a range of conservation practitioners and policymakers. Further printed copies of these reports can be obtained from the bbs [at] bto.org (BBS organiser). These files may be viewed using Adobe Acrobat Reader, which can be downloaded free of charge from the Adobe web site.